I've started posting on my updated website, deeling.com. I hope you get a chance to visit the new site. 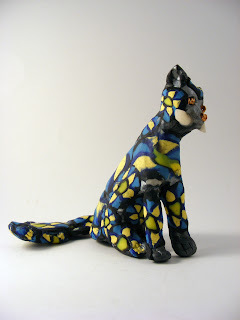 More of my polymer clay critters are included at the main website. Flower the Cat blends into your garden.